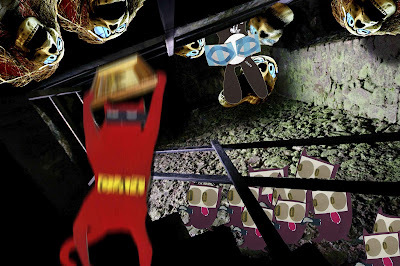 The Wabbit flinched as with a single sudden movement Skratch grabbed the precious painting and launched himself into the stairwell. "Yaaah!" shouted Skratch as he plunged down through the Ghouls and past the Euls to the hallway below. Now the Wabbit was left surrounded by three Ghouls, and he gasped as one started to chew his ear. But the Wabbit knew one thing. He could talk his way out of it. "Halt!" he yelled and to his surprise, the Ghouls did halt. "Why was the ghost thrown out of the Liverpool football team?" he enquired. "Duh," said the first spectre. "Dunno," said the second. "I give up," said the third. "He scored an own ghoul," said the Wabbit. Transfixed, the Ghouls began to shake with fury. They bared their ghastly teeth and drooled from their gaping cavities. "You can't say that about Liverpool," screeched the first Ghoul. "You'll never haunt alone?" suggested the Wabbit. "Kill him for his bad jokes," shouted the second Ghoul." "Be seeing you," said the Wabbit and he hopped out over the rails and cartwheeled through the air. "I hate it when he says that," screamed the third Ghoul. "Rend him asunder!" cried another as they flew at the Wabbit. 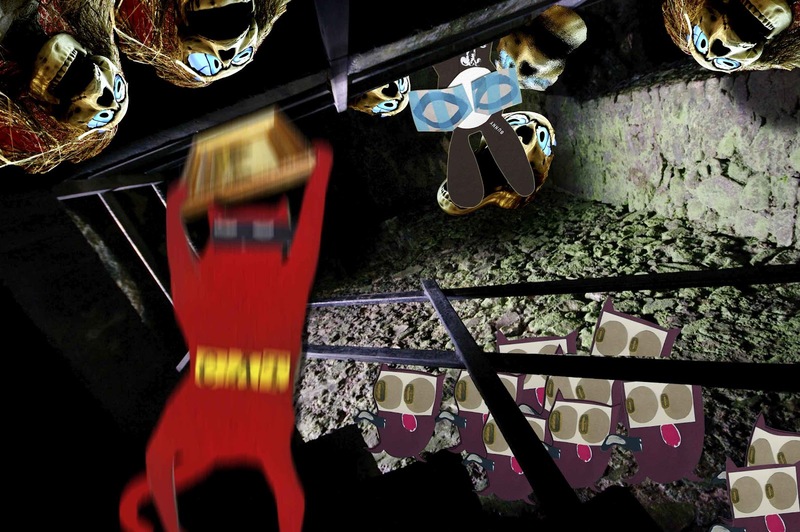 But the Wabbit made an elegant landing given the conditions - and together he and Skratch fled from the Hellfire Club pursued by their demonic foes. "What's rend asunder?" shouted Skratch. "I hope it's a race horse," yelled the Wabbit.